It’s that time of year for college seniors. Time to find a job, and with that, to figure out where you’re going to go. For a lot of students, the entire country (and sometimes the entire world) feels like a possibility, and deciding where you want to end up can be a little overwhelming. Luckily, based on the percentage of people in their 20s, the average monthly cost of living, the number of job opportunities, safety and entertainment, these 10 cities have proven themselves to be the best for recent college graduates to start out. A taste of the South and the perfect destination for Elvis and country music fanatics, Nashville offers the best combo of plenty to do while remaining not-so-overwhelmingly large. The music scene is especially well worth diving into, with lots of new bands starting out as well as performances from well-established musicians like Blake Shelton and Dolly Parton. Plus, you’ll have money to spend on those star-studded concerts, because the cost of living is pretty low (less than $800 monthly without rent). Job opportunities in Nashville don’t come as plentiful as those country bands though, so make sure you have one lined up before it becomes your dream location. Get ready to feel just like a teenage Miley Cyrus boppin’ around on these mean streets. You can discover a new world in Columbus. (Like Christopher… No? Not a good pun?) It might seem undiscovered, though; some people haven’t heard of Columbus–probs because it’s located in the middle of Ohio (AKA nowhere) and doesn’t receive much attention in the news–but that doesn’t mean you should drop it faster than a secretive Beyonce album. Over 20 percent of Columbus’ population consists of people in their twenties, so even though you won’t be on a college campus anymore, youthful energy still floods this city. Cost of living is another plus: Monthly expenses are a little under $800. Even though Columbus is super far from other major metropolises, the city boasts a devoted sports base from professional leagues like the Columbus Blue Jackets to the teams at Ohio State. But if you’re not into sports, you probably won’t find abundant entertainment here. Though because you’re just starting out and super busy, how much money and time do you have to spend on elaborate entertainment plans, anyway? The heart of the nation deserves to find its way into your heart, too. This city provides so many opportunities, particularly in terms of careers. Job opportunities in DC–particularly on the federal or international level–are as abundant as middle schoolers you’ll see on their class field trips. Imagine, one day you could be the literal president (better start deleting those Facebook pictures from your crazy sophomore spring). Political or social justice aficionados never run out of excitement here, with Capitol Hill right at the end of the mall. Not surprisingly, D.C.’s youth shines through with lots of twenty-somethings. The entertainment caters to basically everyone, with amazing museums like the Smithsonian and the Holocaust Museum, as well as monuments on monuments. Plus, binge-watching House of Cards in the city where it all happens is especially exciting. But with all of this, the price tag is also pretty high (over $1,100 monthly) and the less expensive areas aren’t very safe. Get the insider scoop on neighborhoods to flock towards and neighborhoods to avoid like the absolute plague before moving there. Huge and completely exciting, Chicago isn’t just windy. Amazingly enough, even though Chicago is super large with over 2 million people packed in like sardines, most areas don’t sacrifice safety. Safety is important to consider when first breaking free of that college bubble: You won’t have those blue safety lights every few steps away anymore. But never fear letting go of college, because there’s also a ton of people there your own age. “It’s not hard to find other people in a similar life stage with whom to relate. There are entire neighborhoods of Chicago where the demographic is young professionals, so it is great knowing that you aren’t alone,” said Danny Russell, a 2014 graduate from Northwestern University. The excitement in Chicago comes from the sheer number of things to do, from strolling through Lincoln Park to going to comedy shows at The Second City. Weekends are sure to never be far from boring. “There are so many fun things to do, so many great places to eat and so many unique neighborhoods to explore,” Russell said. Check out the original Pizzeria Uno, go to the Alder Planetarium or scope out one of the many museums. Make sure you have enough money though, because while Chicago has tons of entertainment, it also comes with steep price tags of almost $1,000 monthly. Get ready to be blown away by the windy city (sorry, I’ll stop with the puns). Warm and wonderful, Atlanta secures a spot on this list with ease. It’s another place that recent grads flood with their energy and new-fangled phrases like “On Fleek”–the population is 20 percent people in their twenties. This might be because the cost of living is so low at under $900 monthly, but that’s just another added bonus. Though it’s more off the radar than the typical hotspots, there are so many jobs in Atlanta. The population isn’t bursting at the seams, either, so you have an even better shot at those jobs. “C’s Get Degrees” should seriously consider this place. Although Atlanta’s entertainment industry is nothing to write home about, you can grab some delicious Southern food at Gladys Knight’s Signature Chicken & Waffles and attend the ballet and other performances at the Fox Theatre. It’s also by no means an unsafe city, but it does have its nasty undersides. Make sure you check out the neighborhoods before you start exploring. Right on the beach and perpetually warm, the weather gives San Diego a bonus perk as a place to live. San Diego is ideal if you’re looking for a place that feels like a vacation but costs substantially less than Atlantis at $855 for living expenses. 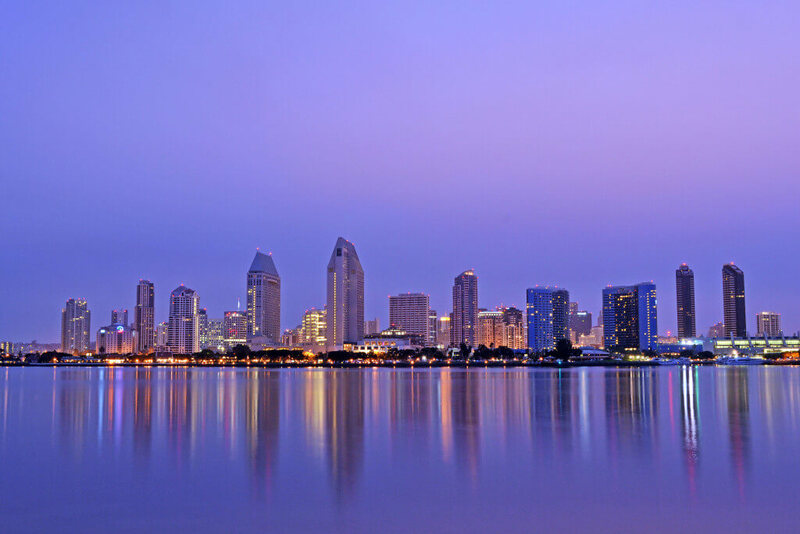 Plus, with all that extra money, you can take advantage of the many things to do around the city, like going to South Mission Beach for some volleyball or relaxing or visiting the famous San Diego Zoo. The safety gives this city some major points, so even if you’re unfamiliar with California you don’t need to worry too much. While you’ll need a job to keep you in gorgeous San Diego, job opportunities are not as plentiful as in some other places. Secure a job before grabbing your surfboard and venturing out there to shred gnar. LA, yet another warm-weather city but with a more bustling and typical city-like vibe than San Diego, is the stuff of dreams. Taking into account everything that Los Angeles provides, from the diverse opportunities to the excitement, the cost of living sinks pretty low (comparably, but it’s still $900 monthly). You’ll never stop having fun, as you’re right in the heart of the entertainment industry. If you’re a film or celebrity buff, check out the Paramount Pictures Studio Tour or even go on a creepy celebrity home bus tour. Seth Roybal, a 2015 graduate from The Masters College in Santa Clarita, said, “The best part about living in LA is the culture. It is a diverse group to be a part of and learn from. I want to work in the entertainment industry so other than Nashville and New York, LA is the best place to be. LA is full of opportunity.” An added bonus is that most areas of LA are actually quite safe. But you might find yourself out in the clubs with some more geriatric types. Yes, it might seem strange that LA isn’t an especially young city, but you can always head over to Disneyland in Anaheim to renew your youthful energy. They say if you can make it there you can make it anywhere. New York probably has the widest array of career opportunities, from business to the arts to teaching to… well, pretty much anything you can dream up. “I work in advertising and having agency experience in New York stands out on my resume since there is so much opportunity here,” said Helena Marklin, a 2015 FSU graduate. There’s also the incredible opportunity for advancing to the height of your field, as so many prominent companies( like ABC, Bank of America Merrill Lynch , Marvel Entertainment, and more) call this city home. And while you’re stepping up the corporate (or any industry’s) ladder, you should also take advantage of your free time, because there’s so much to do. From strolling around Central Park to trying to get tickets to Hamilton, you’ll never get bored. “There are so many cultures and traditions in one diverse area,” said Marklin. Unfortunately, while those skyscrapers are scraping the sky, so are those prices. Cost of living, without rent, typically runs over $1,100 a month, which can be hard to scrounge up when you’re just starting out. But hey, listen to TSwift: Don’t leave New York waiting for you. 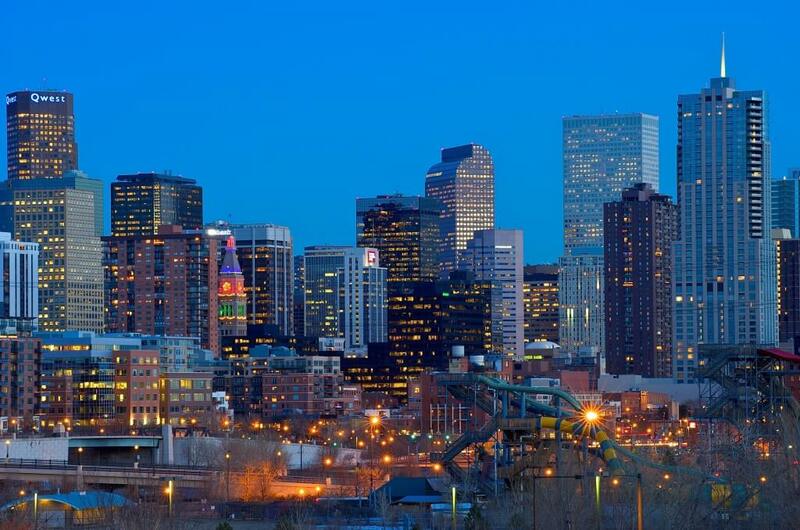 Denver isn’t usually one of the hot spot destinations for newly-minted college grads, but that has to change because it has so much to offer. Drew Guffey, a 2009 Colorado State University graduate, said, “It is clean, organized and fun! People are friendly and active which in my opinion is fantastic.” There are also a ton of jobs in Denver, because even though it sits right in the middle of Colorado, things still need to get done here. You won’t find as many industry fields present here as in New York or LA, but opportunity presents itself all the time, especially for outdoorsy people. The cost of living is also pretty darn low for such a bustling and active city, with monthly living expenses of less than $900. And you can spend that extra cash on ski slopes like Echo Mountain, and tons of others, to get in your exercise. Safety is another added bonus–even though the idea of land-locked Colorado might freak you out if you’re typically pretty coastal, you don’t need to be worried about living on your own or figuring out a new place. There’s a reason why there are over 50 colleges in the Boston area and there’s an even better reason why many of those graduates never leave. Boston has it all: a young population, safety and many job opportunities. Almost a third of the population is in their twenties, so you’ll never run out of people to meet. “It’s great to know so many people and also to meet new people who are in the same boat as you,” said Sarah Krantz, a 2015 Boston College graduate. Especially in relation to the size of the population, there are job opportunities in many industries, from business to the arts to teaching. Plus, you don’t have to worry about spending money on a new car or an Uber, because Boston is very safe and you’ll feel totally fine taking the T (Boston’s public transportation) or even walking from place (bar) to place (bar). While it’s not as bustling and metropolitan as New York or LA, there’s plenty to do, like visiting the aquarium, Quincy Market or the Freedom Trail. “The city feels really comfortable and not nearly as overwhelming as some of the big cities. It’s a good ‘gateway’ city for people who may eventually want to go to the Big Apple,” said Krantz. The cost of living takes away some brownie points from Boston, but for all you’re getting, it’s worth the $950 monthly price tag. The biggest draw? Jim from The Office was born here.